A meeting with representatives of the ACF, which was attended by teachers and students of the university, took place at LTSNU. ACF (“Action Contre la Faim” or “Movement Against Hunger”) is an international non-governmental humanitarian organization that provides support to the most needy categories of people. “Movement Against Hunger” was founded in 1979 by a group of French intellectuals in response to events in Afghanistan. Among the founders of the program was Françoise Giroud, Bernard Henri Lévy, Marek Halter, and Jacques Attali. While food security has been part of the overall humanitarian activities, ACF has been exclusively dedicated to the work to overcome hunger in the world space. In connection with the military conflict in 2015, “Movement Against Hunger” started its activities in Ukraine. The work is organized in three areas: psychological support of people affected during emergency events, providing food packages and livelihood, as well as the analysis of water safety, sanitation and hygiene. Currently, much attention is paid to employment of persons affected by the conflict. 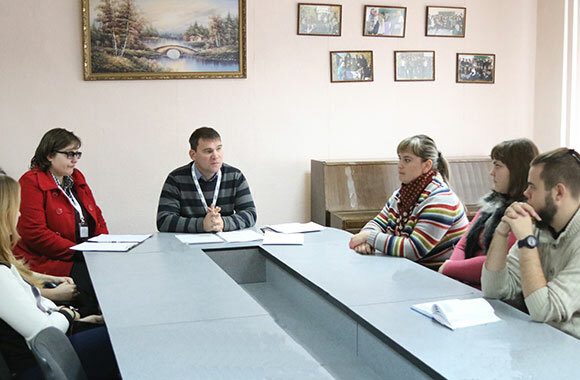 “Our organization in Ukraine is working not only with internally displaced persons, but also with the local population, as we strive to adapt the displaced persons to the conditions of real life and help them in joining the society. The aim of ACF is to combat the factors that lead to starvation: unemployment, poor living conditions and other “, – the employment technical specialist Yoseba Amatrian Losa said. 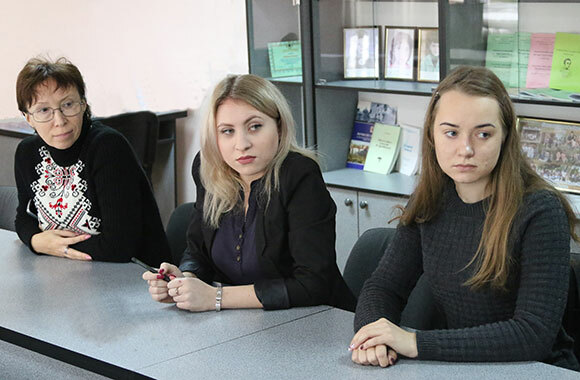 Students of LTSNU previously received assistance in the form of vouchers for the purchase of products. The aim of the last visit of the International Charity Fund in our university is to contribute to the successful recovery of livelihoods of people who have been victims of military events. The event was held on the initiative of the student social service. 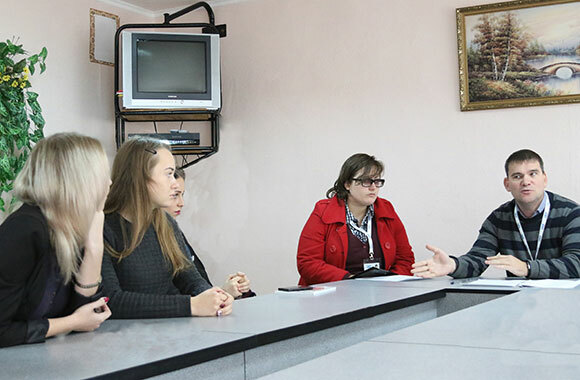 During the meeting with students and staff of LTSNU there were determined the main problems of the local population and internally displaced persons. In addition, it was noted the need to encourage people to work together to improve the quality of social services. 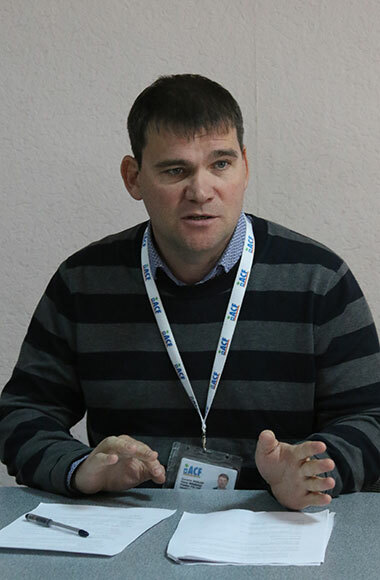 The project manager of product security and standard of living V. Kozlov mentioned that everyone should be aware of their responsibility for their own lives and be indifferent to the fate of others. The students expressed their views about their own future, focused on the abilities and skills that must be mastered for a successful self-fulfillment and professional growth. 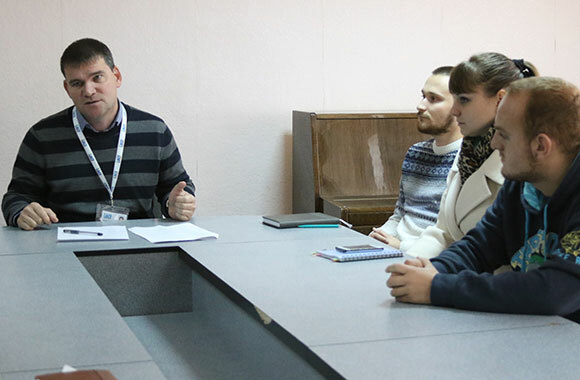 Involving students and teachers of Luhansk Taras Shevchenko National University to participate in the international humanitarian organizations is an important component of the global support that opens up opportunities for self-development and implementation of their own ideas.